Utah's Best Drywall Repair Contractors! Whether you want us to handle the entire thing or you just need some help at the final stages of a project, Utah Drywall & Repair is the number one company you have to call. From adding the final touches through drywall finishing to repairing drywall holes and cracks, you can count on us to do it all while helping you save money and time. From the moment we step inside your house, we know that our purpose of being there is to work. We can give you the assurance that we will complete the job efficiently and expertly. You don’t have to worry about an incomplete project or multiple visits because we can finish everything before you know it! We specialize in absolutely everything drywall related – We are your one stop shop for all your drywall service and repair needs! Browse through our most popular drywall services below! No matter the damage, we can fix, repair or replace any kind of drywall. We install new drywall for all home types and businesses! If you need old or bad drywall removed, we can do just that! Need drywall hanged on the walls or ceiling? We can do just that! Need some patchwork done on some bad drywall? We can help! Let us do the taping for perfect and hidden drywall lines! Smooth perfect mudding done right every time! We hit the studs every time - perfect drywall screwing. Picture perfect smooth drywall surfaces! We match and create perfect drywall textures! It's hideous! We remove and replace it! Oh the joy! Did someone put a fist through the wall? Door handle? We can fix it! Utah Drywall & Repair was founded to take make the drywall process easier for builders, contractors, business owners and residents. 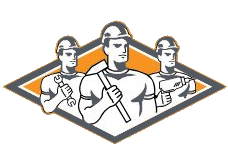 We are committed to servicing any project related to drywall. Whether you need a entire home or business dry-walled or if you are looking for small to large drywall repairs – trust us with all your drywall service project needs! Say Goodbye to All Your Drywall Worries! Does your drywall look like it needs immediate repair? Is your drywall showing signs of damages? Don’t worry because at Utah Drywall and Repair, we got your back when it comes to your drywall repair needs! As a homeowner, one of your foremost responsibilities is to have a regular drywall repair and maintenance. If your to-do list contains drywall repair tasks, cross them all off by picking up the phone and calling us right away. Our team of drywall contractors is here to handle the task for you. They have seen, repaired, and solved a lot of drywall concerns so you can have the peace of mind knowing that we will arrive in your home right on time to deliver 100% quality workmanship to meet your satisfaction! Utah Drywall and Repair are your local drywall repair experts in Salt Lake City. Our specialization include drywall repair Utah and we can complete other jobs that the rest of the drywall companies in the area won’t. You can be sure that we can fix problems, whether it is water damage because of a leaky roof, or ugly holes left behind by an electrician or plumber. There are already hundreds of homeowners who have trusted us in repairing and restoring the original beauty of their homes. We have long years of experience that allowed us to come up with the best techniques and technologies to effectively and rapidly repair any damages to the ceilings and walls of your West Valley City home. We will treat your home as if it was our own. We strive to complete most West Valley drywall repair jobs in a single day. We will carefully cover the work area and protect your furniture. With us, you won’t have to deal with any mess at all! If drywall repair Utah is really that simple and easy, shouldn’t it be a project you can do on your own? Well, not necessarily since most Provo homeowners cannot determine the seriousness of the damage. What you thought to be just a small crack might have a bigger problem underneath. Hiring professional drywall contractors like Provo Utah Drywall & Repair can give you a guarantee and the much needed peace of mind. While drywall damage might not necessarily decrease the sturdiness of your home, it can still make a big difference in the value of your home. Trust your drywall repair needs to the professionals at West Jordan Utah Drywall & Repair. If you notice some tears, cracks, and other damages in your West Jordan home, don’t waste any minute. You need nothing but the best drywall repair Utah that you can only expect to get from us that will surely fit your budget. Drywall, unlike plaster, comes with a seamless paper which can rarely sustain damage. Tears and cracks are often found on the seam wherein two drywall pieces meet and this is easy to fix. Damage can result from an accident as well, like a wayward table corner that punctured the drywall during the move. While you can handle smaller repairs, bigger concerns are best left to the hands of professionals at Orem Utah Drywall & Repair. A new home in Sandy can suffer from some nail pops. This happens when the nail heads jut out of the drywall. While these are not dangerous, they can still be unsightly. Our professional drywall repair Sandy Utah experts can handle things such as those annoying nail pops, minor cracks, up to other major damages. Our drywall contractors can conduct different drywall repair and finishing services for your home to look great all over again. All our drywall experts have years of experience in the fields so you can count on them to deliver exceptional results. There are a lot of causes why drywall can get damaged. Some of these include wear and tear, cracks from settling, kid damage, door knob holes, mice damage, moisture damage, drywall anchor holes, and throwing darts holes. After all, your Ogden home is meant to be lived in and this is why it is very common to see holes or other damages in your drywall. You can expect us to fix these concerns properly so you never have to worry about them at all! Drywall damage tends to happen very easily. If a doorknob caused a dent on the wall or you used a nail for hanging up a picture frame, you know that this surface can be really delicate. While this might not sound like a big deal, the truth is that even the tiniest holes can be easily noticeable. When these damaged parts and holes are not fixed through the right drywall repair service, they will only get more noticeable. St George Utah Drywall & Repair will be more than happy to help you solve these problems. Drywall damage is not only because of clumsy adults or rambunctious kids. There are times when these damages can occur naturally and in ways more subtle than what you think. If you notice any dents or holes in your drywall of any size, they surely need fixing right away. For drywall repair service in Layton Utah, please give us a call today! If you have holes or dents of any size in your drywall, they are absolutely worth fixing. New paint coat is not enough to cover it up. As a matter of fact, it makes the damage stand out more. If you are getting a new paint, you like to ensure that you have smooth surface for you to achieve the best possible look. It is one of the many ways Millcreek Utah Drywall and Repair can wow you. Repairing dents and holes in your drywall is an easy and quick way to make the space look brand new again. It is a must do before you apply a fresh paint coat to the wall. If you want us to help you out with your needs on drywall repairs, just call us! Utah Drywall and Repair are professionally trained and certified to repair or replace your drywall and refinish its surface with any wallpaper, paint, specialty finish or covering you preferred. From small punch-through holes to the hanging new drywall panels, applying, attaching, and cutting final skim coating as well as sanding, we are your 1-stop shop for your unique South Jordan drywall repair needs. Utah Drywall and Repair has gained a good reputation through delivery an exceptional customer service experience to all of our clients. Before applying the paint you prefer for your walls and before we complete surface preparation, we can help you with the Lehi drywall repair needs in your home to bring you the best results. Unexpected incidents may result to seriously damaged plaster or drywall. When accidents occur, it is essential to fix the damage correctly to avoid some problems. At Taylorsville Utah Drywall and Repair, our team of experts is experienced in drywall and plaster repair. We have proper training, tools, and materials that will help you get the work done right, even for the first time. Regardless of the damage’s severity, our experts will surely make it look as if nothing happened. Repairing damaged drywall, plaster or sheetrock can be a big undertaking. A lot of homeowners lack proper experience to complete the work effectively and safely. That is where Logan Utah Drywall and Repair comes in. We provide drywall repairs and complete plaster, enabling you to save money, stress, and time. Our experts also offer seamless fix for severely damaged walls. Never let damaged drywall in your house. Contact us now! At Utah Drywall and Repair, we take pride from providing quality work only. We could tackle your drywall repair or plaster needs, providing long lasting and quick solutions as well as affordable rates for stress-free experience. Our experts use only the highest possible quality materials and products for all of our repair services. Our Murray Utah drywall contractors are fully bonded, insured, and screened ready to get the work done. Drywall is considered as the staple of modern houses. Made from the thin plaster boards that are derived from mineral gypsum, drywalls are portable and lightweight and found in majority of modern homes across US. The chemical composition of drywall is fire resistant. This makes it a perfect home construction resource. Drywall is a good building material, yet it’s subject to damage and other homeowners may struggle with repairing drywalls. While drywalls are handled by drywall specialists and construction workers, most homeowners aren’t familiar with handling materials. That is why Draper Utah Drywall and Repair provides drywall repair and installation. While drywalls are sturdy, they can also be dented, chipped, and punctured. Drywall damage is common in many homes, whether from the doorknob striking your wall or due to the holes from the nails. Luckily, drywall holes are a simple fix for experienced professionals like Bountiful Utah Drywall and Repair. While drywall repair kit is found in many hardware stores, patching the drywall hole correctly can be a time consuming and tricky process. Typically, the process involves covering the area around the holes with thin layer of joint compound and applying mesh tape or patch and sanding more layers of the joint compound. Professionals can make this work easy for you. Riverton Utah Drywall and Repair can do the job effortlessly and will save you time and money! For drywall patching jobs small or big, you may contact Spanish Fork Utah Drywall and Repair to restore your wall to its original condition. Our experts can also paint the wall for you once patch was completed. Herriman Utah Drywall and Repair specializes in any repairs or other related services with drywall. You can book us anytime you need drywall installation and repairs. Our technicians are always ready to help you. We offer services at an affordable rate and you can be assured that we can get the job done in a timely manner. If you have special requests, just tell us and we’re always ready to assist you. If you are a Pleasant Grove homeowner, odds are that your ceilings and walls are made of drywall. A drywall is also known as sheetrock, which is a standard in home construction since mid 20th century when communities and neighborhoods were developed across the country. If you need repairs for your drywall, Pleasant Grove Utah Drywall and Repair can help you! If the walls and ceilings of your home are damaged and you like them to make better impressions on guests and the household’s members, Utah Drywall and Repair has a solution for you! Our Cottonwood Heights drywall specialists have years of expertise and experience in repairing holes and cracks in drywall that includes painting, texturing, and patching walls to look like new. We can also offer you with services to ensure the drywall of your home does not get damaged again. Utah Drywall and Repair is always ready to help you. No matter what your needs are or how big your problems are with your drywall, we are available anytime! All you need to do is to give us a call today! We are Utah’s best drywall repair contractors. Contact us for all your drywall needs!